This article appears in the May 22, 2015 issue of Executive Intelligence Review and is re-published with permission. The following was presented on the New Paradigm for Mankind weekly webcast on May 13, 2015, which featured Jason Ross, Megan Beets, and Ben Deniston of the LaRouche Scientific Basement Team. Ben Deniston: I want to continue directly from last week on the theme of how to address the water crisis from this galactic perspective. First, if people watching this haven’t seen last week’s show, they should definitely watch it—the May 6 edition. I’m going to continue from what was presented there. We’re developing a completely new idea about how to manage water supplies. This is the type of science-driver program which a sane United States, under a sane leadership, in cooperation with other nations, would be taking up immediately. Water is one of the major issues. Obviously we’re hearing about California right now, facing a major crisis, a crisis that is accelerated by the fact that you have an insane governor there [Jerry Brown], whose response to the water crisis is to impose manadatory restrictions and move towards what is, in effect, a depopulation policy: a response to the water crisis by just saying, “Well, we have too many people, so let’s just restrict use and let the weak ones weed themselves out under that policy.” That’s Brown’s policy. So, we have a major issue, accelerated by these types of insane, really genocidal leaders, like Brown and Obama. But water is a major issue outside the United States, too. Many nations, many places around the world, are suffering a shortage of water, shortage of clean water, lack of water management. So, this is a central issue in the perspective we’re talking about: the potential to get the United States to shift, and to break from the tradition of the past four terms of Presidents, and return to its roots as a republican nation, focused on science, into the development and cooperation with other nations in that regard. In dealing with this water issue, what we’ve been defining is a new perspective for how to manage the water systems. We’re looking at going beyond just managing water supplies that are on the ground, shifting water around, things that, in those terms, are going to need to be done: We’re going to need to manage rivers, and ground water supplies, and lakes, and so forth. But what we’re looking at now is the potential to subsume that within an entirely new perspective: managing the water of the atmosphere; managing weather systems; managing the behavior of atmospheric water vapor on regional and potentially larger scales—to provide a completely new method of control over the water cycle, and developing the water system of the planet for the needs of mankind. Last week we defined the galactic perspective on the water system.1 We looked at all these correlations, these cycles and fluctuations, in climate records and in the behavior of water, and the behavior of the climate going back decades, hundreds of years, thousands of years, millions of years, tens of millions of years. And you see all these variations in temperature, glaciation, rainfall, all these aspects of climate and the water cycle. And we see in all these scales, that these variations correspond with changes in the influence of cosmic factors: how the Sun is behaving, what the Sun is doing. And also, most importantly for our perspective here, variations in the influence from the galaxy, from the galactic system. We see direct relations between these aspects of the behavior of the water cycle, and the amount of so-called galactic cosmic radiation intersecting the Earth, interacting with the Earth—variations in the effect of the galactic system. What we defined last week is really the need to reconceptualize our understanding of this atmospheric system that we’re living in: that it’s not just an Earth-based system. It’s not even just an Earth-Sun system, but it is, in part at least, significantly a galactic environment. That the characteristics of our atmosphere are being shaped constantly by the high-energy radiation, the effect, of the galactic system around us, constantly flooding the atmosphere, affecting the conditions, certain qualities of the atmosphere, which play an important role in affecting how water vapor behaves. 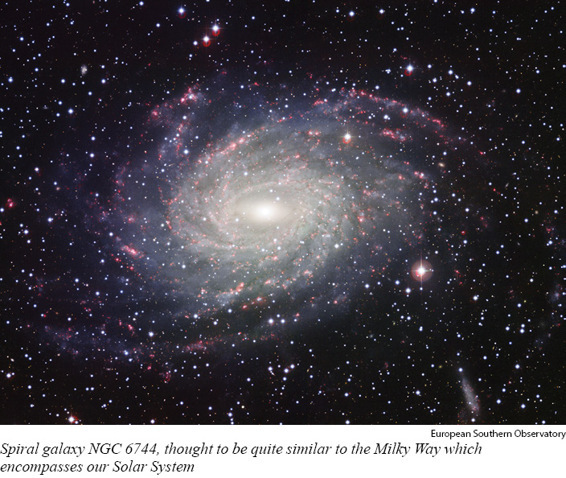 Last week we defined that from the standpoint of these longer-term correlations, and also very short-term effects, where you see, on the scale of days, rapid changes in the influence of the galaxy, as can be created by outbursts of Solar activity, which can kind of shield the Earth from galactic activity, and its galactic cosmic radiation. And then right after that, looking on the scale of days, you see atmospheric conditions, conditions of water vapor in the atmosphere, changing, in direct response to this shift in the amount of galactic influence, so to speak. So you’re starting to develop this picture: that we’re living in this system which is, in part, created and molded and shaped by this high-energy influence from the galaxy. So that we’re living in a galactic atmosphere, a galactic environment. That’s the condition that we exist in. And if we want to better understand water, and the water cycle—how water behaves—and climate and weather and related things, we have to now think about it from that standpoint. And I think, last week, we did a decent job in going through the evidence to paint that picture. What I want to take up today is, how can we then use that insight, to manage these conditions, to allow us to better control the water cycle from that standpoint. What we’re going to discuss is a number of examples of utilizing so-called atmospheric ionization systems to stimulate our own version of these types of effects on the atmosphere. That, as we discussed last week, one of the critical factors in the galactic influence, is that it is constantly creating a certain amount of ionization in the lower atmosphere, which plays a critical role in helping water vapor condense from a gas state to a liquid state, and form clouds, create precipitation, and related phenomena. With that understanding, there have already been decades of experiments and demonstrations showing that we can create our own variations of these effects; we can create our own ionization effects on the atmosphere which, in a really interesting way, simulate, or you could say, allow us to manage, these galactic-type conditions in our atmosphere. I want to show this one illustration (Figure 1) of one variation of these types, which we’re going to discuss: where they’ve been used, what the results have been, and what the potential is, so far, from what we know from these systems. The basic idea is actually rather simple. This is a system of towers. You have a central tower, somewhere in the range of 30 meters (around 100 feet high), and then you have a series of smaller towers, around 10 meters high, surrounding it. 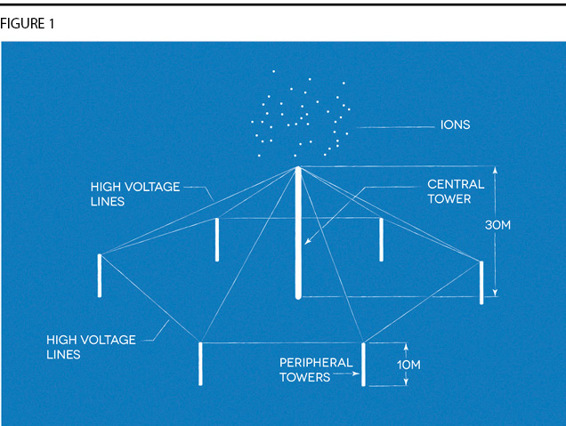 These towers are then connected with rather thin wires, and through these wires, if you run the right high-voltage current, you can create an increase in the ionization effect in the surrounding atmosphere: what’s called a Corona discharge effect. By running the right kind of electrical current, high enough voltage, you can increase the rate of ionization, the amount of ionization effect, in the surrounding atmosphere. None of these stations is really that big; you’re talking about 30 meters high, surrounded by a series of towers, but they’ve been able to directly measure the effects of this, tens of miles away. So you can create a sphere of influence on a decent scale with just one of these systems, with a relatively low power input. So, you’re utilizing these systems to manage the ionization and electrical conditions, in kind of a bubble, or section of the atmosphere, influenced by these stations, which give us at least an initial ability to begin to manage and control these conditions: the conditions that we discussed last week are critical in effecting how water vapor behaves, when it decides to move towards precipitation, when it doesn’t—these types of things. In theory, if this ionization, whether from the galaxy or whether from man-made systems, plays such a critical role in affecting how water behaves in the atmosphere, we should be able to utilize this to increase precipitation, for example. And this is what has been done. There is a history to this which actually goes beyond my knowledge. There’s a lot of work on this. I’m going to go through what I’m familiar with—a few places where this has been developed, a few particular groupings which worked on this technology—but I should emphasize that studies on this go back, even further back, to the 1940s. It’s been tried in various ways. It’s been tried in various forms. There’s a whole interesting history to managing these ionization systems. But what I want to focus in on, is, initially, technology that was developed in the Soviet Union in the mid-1980s. And I’ve seen reference to the initial development of this particular line of the technology at the Laboratory of Meteorological Protection of the City of Moscow. It’s a rather interesting name for a laboratory. And I guess this was associated with, or paired with, the City Hall of Moscow. So, in the mid-’80s, they started to work on weather modification, weather control systems, utilizing these types of technologies, these ionization effects. And they developed their first active system, I think, somewhere around 1986, technology that came to be referred to as ELAT, which stands for the Electrification of the Atmosphere. I haven’t actually been to see a whole lot of details on the operations in Moscow, but it was cited to have had some beneficial effects, managing the weather conditions for the city. When the Soviet Union fell, in the early ‘90s, some of the people involved in this, began promoting this technology for use in other places, and you had, in particular, by the mid-’90s, some support for this developing in Mexico. You had the mayor of Mexico City at the time supporting it. You had some support from the head of the Mexican Senate Committee on Science and Technology, and then also some university scientists interested in it, supporting it, and then also some business support. So these different groupings came together, and funded and supported an initial trial program, to build some of these ionization systems in Mexico, and see if they could get them to work—to be successful in increasing rainfall, especially in the desert regions of Mexico. The initial trials were successful enough that they went from something like three stations, in the very late ‘90s, like 1999, up to 21 stations in 2004. So they were able to show enough success with their initial trials to get pretty decent expansion in the number of these stations. 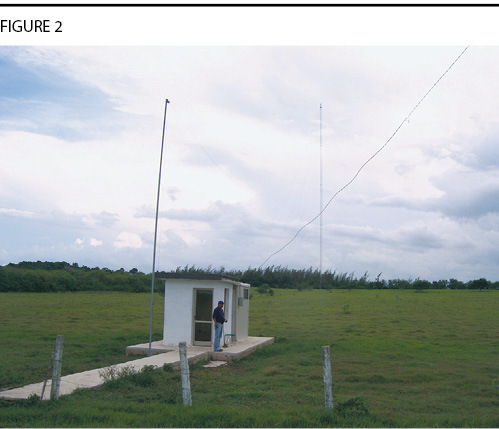 Here’s an image of one of the stations operating in Mexico (Figure 2). You can see the central tower there. It might be difficult to see the wires coming off of the tower, because they’re rather thin, so they’re a little bit hard to pick up there. And you see the small station where you operate the conditions of the system. And then here’s a display (Figure 3) of not all of the stations they have, but one set of some of the different locations where they had these systems built and operating. And one thing they were trying to do with these systems—I think it’s a critical part of the potential of this technology—is that they were able to utilize an array of these stations, starting near the coast, and moving further inland, to create the conditions to try to pull water vapor inland, from over the oceans. So, actually working to create a net flow of new atmospheric moisture over the land, which normally wouldn’t be there under natural conditions. And the way they were working with this was to try to utilize the effects of this ionization, the effects of the condensation of water vapor, to create small variations in the pressure, the atmospheric pressure. And by doing this, they could then create conditions where some of this water vapor would flow toward lower-pressure regions, further inland, so creating, in effect, an atmospheric canal, maybe you could say, bringing in a whole stream of new atmospheric water, atmospheric moisture, inland. This is critical. Because otherwise, if you’re just talking about getting existing water vapor to fall as rain, or precipitation—that can be useful; but you’re not necessarily increasing the net amount of water coming into the continent, coming into the water cycle, over land. If you’re operating with this kind of approach, you’re attempting to actually draw in new sources of atmospheric moisture, and I think that’s a critical aspect of how we want to work to develop these systems, because you’re increasing the net amount of freshwater input into the continental system. We’ve cited some of these figures before, but 90% of the water that’s evaporated from the ocean, never makes it over land. It just falls back over the ocean again, so there’s a huge potential in the water vapor system, naturally occurring, that these types of things begin to tap into, and draw a little bit more of that inland. Draw it inland, get it to fall over land, fill reservoirs, fill groundwater stores, fill lakes, rivers, participate in life and human activity, and then flow back into the ocean again, so we can increase the net flow of the cycle. Anyway, that’s the kind of concept they were working with in Mexico. Now I want to go through a quick series of some of the results, to show what they’ve been able to do with these systems. 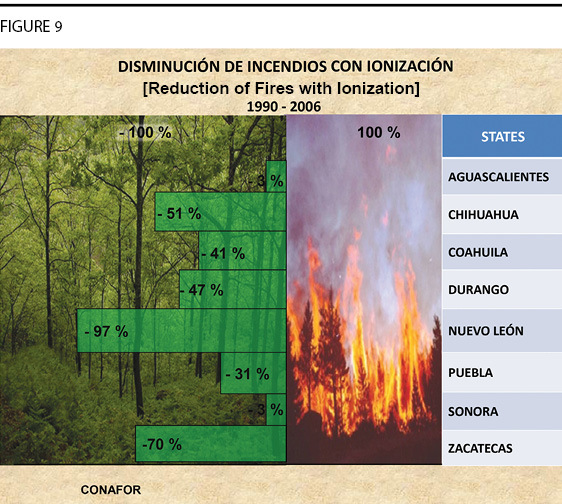 Here is a graphic of operations from 1999 to 2003 in the state of Durango, a state in Mexico (Figure 4). You can see the state highlighted in gray down there at the bottom. You can see it’s situated with a few of these stations in the state, plus a station closer to the coast, to kind of create this draft effect, this pressure gradient to bring water further inland. What we see in the chart on the top there, is a range of predictions for what they expected the rainfall to be, the precipitation to be, each year. So you have in the purple, the lower estimate; the green, the higher estimate. So you get a range for what they thought would be the lowest or highest amount of precipitation they could expect each year. Jason Ross: Not using the system. Deniston: Not using the system, yes. It’s what they would expect the natural precipitation to be. I don’t have a graphic for it, but there is reporting of their activity in the state of Sonora, where on average, they expected about 10 inches of rainfall each year; under the first year of operation of these systems, they had 51 inches of rainfall. So, a fivefold increase in rainfall above what the regular average is. 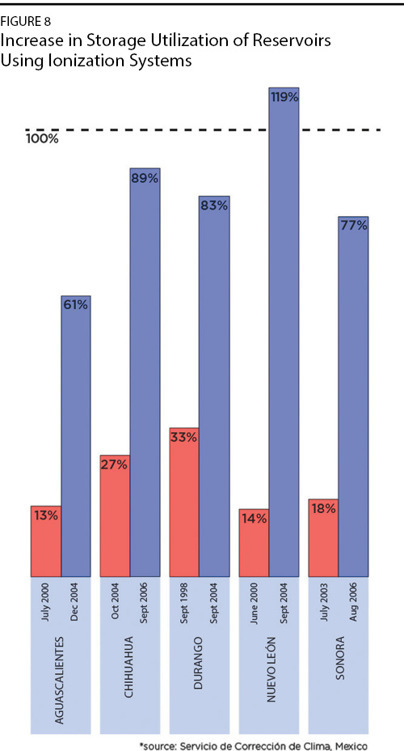 Here’s another graphic (Figure 5). Ross: I’m glad the bean-counters are put to productive work. Deniston: Right. They were getting off easy. Got to give them something to do. So, for example, on the far left, in this particular state, they had a certain amount of rainfall expected, based on the 45-year average. You just take the last 45 years, how much rain fell in the state, average it out for that whole time, and you get a nice long average for the amount of precipitation you would expect. 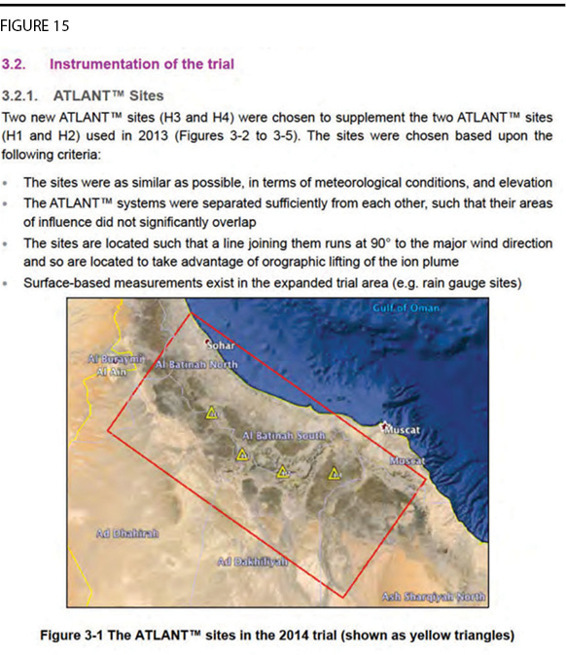 But then from 2000 to 2004, in this particular case, they used the ELAT stations, and for that four-year period, on average, they got a 50% increase; they had rainfall for those four years, 50% higher than the entire 45-year average before that. And that’s recorded—each of these bars is for an individual state, under the influence of these systems. So, we looked at Durango: Here we see Durango—the fourth from the left—showing on average a 10% increase, from 2000 to 2004, under the influence of these systems, compared to what the average rainfall had been 45 years prior. Ross: That’s a smaller increase than the previous graph showed, right? Deniston: It’s pretty close. You mean this graph (Figure 4)? Ross: Yes. That was just comparing estimates for those years, as opposed to 45 years earlier. That’s why there’s a difference. Deniston: Yes, right. They estimated—however they did it—each of the years individually. So, that’s the precipitation increase. 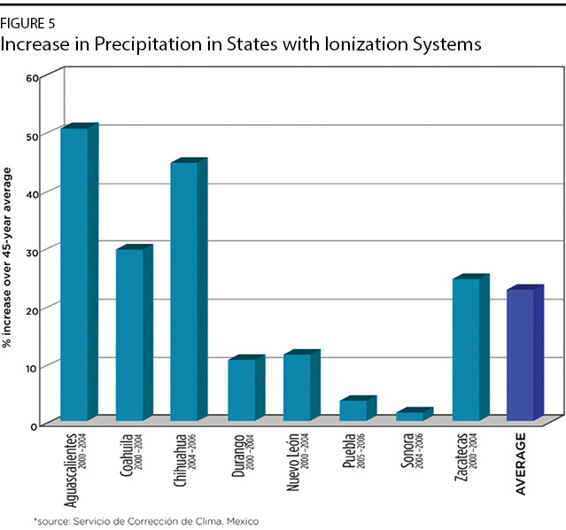 We were talking about Sonora, Durango; here’s an array of other states showing average increases in precipitation (Figure 5). They were also able to utilize this specifically, not just to increase overall precipitation generally, but to target particular reservoirs, particular basins, and watershed areas, where rainfall, precipitation, will feed into known rivers, which will feed into known reservoirs, and actually fill targeted reservoirs. 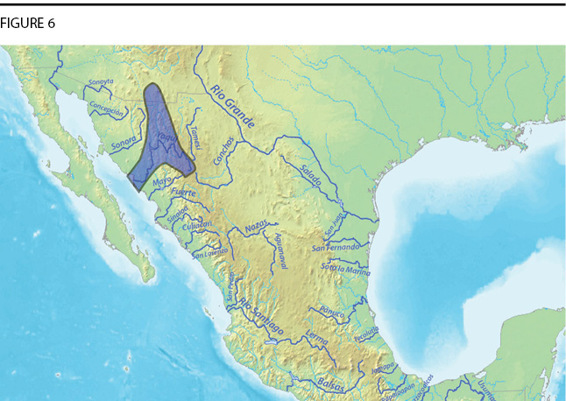 So, for example: This is a very simple general illustration of the river basin for the Yaqui River in northwestern Mexico (Figure 6). And utilizing these stations, they were able to significantly increase how filled these reservoirs were, under the operation of these ELAT systems. Here you have three reservoirs in that basin, indicated in the green, the gray, and the blue lines (Figure 7). 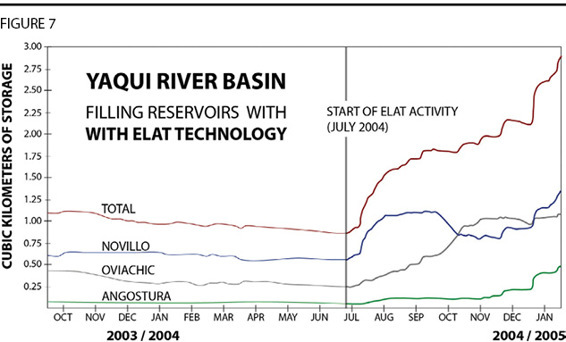 And then the red line above that is the total amount for all those reservoirs added together. And you can see: On the left here, going from toward the end of 2003, into the beginning of 2004, we have the reservoir levels as they were, without the influence of these weather control systems, these ELAT systems. And then, in July 2004, they began to utilize these systems in the region, with the particular goal of filling these reservoirs. And you can see rather clearly, timed with the beginning utilization of these systems, the level of the reservoirs began to rise in all three of them, and in the total. So, you can see that, under the influence of these systems, the increased rainfall, you can utilize this increased rainfall to fill reservoir stores, to provide water for the existing water infrastructure systems. This is one particular basin, a few reservoirs, in the state of Sonora. Here’s another graphic (Figure 8) illustrating the effect of filling reservoirs in a number of different states, around the nation of Mexico.6 The red shows how full the reservoirs were before the utilization of these systems; the blue shows how full the reservoirs were after the utilization of these stations. So, on the right, to give an example, that’s in the state of Sonora. So, the red there indicates the reservoir level in July 2003—it’s about 18% full. Three years later, after a few years of utilizing these systems, the reservoir level went to 77% full, as measured in August 2006. You see a similar result for different states. They’ve also been used to reduce forest fires. By increasing the precipitation in certain very dry regions, you can reduce the number of forest fires—those that get started, you can weaken them; you can prevent them from ever occurring. So here (Figure 9) we see indication of—again, under the effect of these stations, against some historical average of the number of forest fires in the area, the forest fires occurring in these states, you see it reduced, during the time period when they had these systems operational.7 On average, you had traditionally a certain number of fires occurring in each of these regions, and they were able to utilize these systems down there, to get a reduction in the number of forest fires. So, it’s kind of an overview, over a decade of operations of these systems in Mexico. Unfortunately, somewhat amazingly, despite this success, despite all this work that was done developing dozens of stations, consistent beneficial effects, they actually lost support in Mexico, and weren’t able to continue operating there. There was opposition from certain elements of the government in other places to their work. We might mention that a little more throughout the discussion, but this stuff—people can probably imagine—is highly contested and debated by certain people who just axiomatically believe this could never happen. We can’t influence the weather, etc., etc. Then they were able to utilize these systems over a three-year period to successfully, significantly increase the volume of these reservoirs, and fill these reservoirs in Israel. And this particular grouping is still working on the technology there in Israel, developing it, refining it. And they have interest from nations in Asia in developing the technology in Asia, and bringing it there. So they’re working on pursuing the development of the technology there. So, that’s one whole historical arc. You had this Russian grouping, led by certain scientists in Russia. They were able to develop and utilize this technology in Mexico, and then we saw the results. They went to Israel; we saw successful results there. So, that’s one outfit that exists that’s utilized these systems to increase rainfall, to have these beneficial effects. 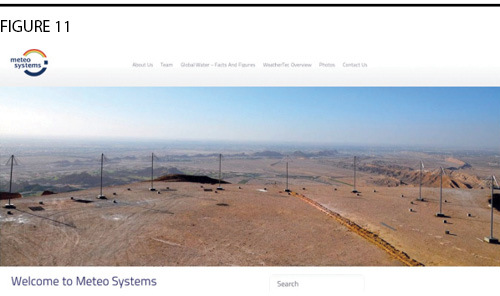 Now I want to highlight another company, separate from the company I just discussed, called Meteo Systems (Figure 11). This company was formed in Switzerland. They did some initial trials, demonstrations of some basic technology, similar technology, in Switzerland in 2006. 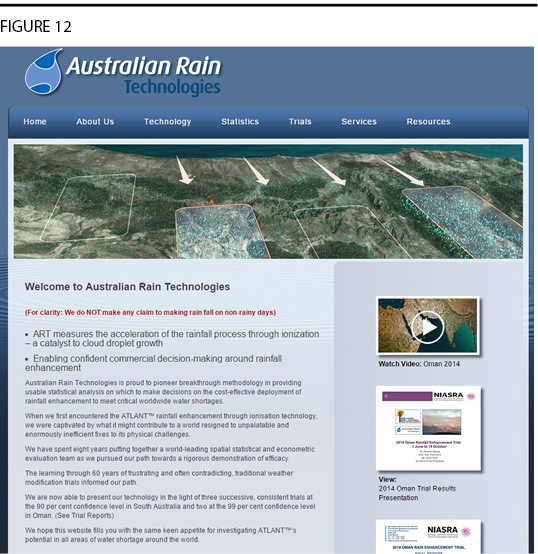 This was then brought to the Middle East, developed in the United Arab Emirates (UAE), utilized there to increase rainfall, provide certain beneficial effects there.9 And then also, there was a spinoff company in Australia, which came out of Meteo Systems, a new company called Australian Rain Technologies.10 And here’s their website (Figure 12). Instead of focusing on going right to commercial operations, and trying to sell this stuff, this company has been more focused on some very rigorous trials: to develop these systems, utilize them, show that we can increase the rainfall, show what the effects are, and demonstrate the technology for the many people who are still very hesitant to believe we can do this kind of stuff. 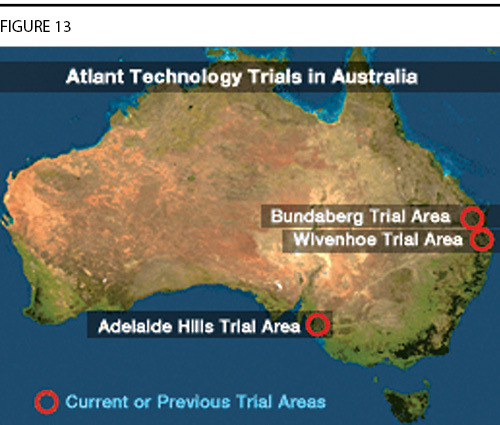 So, in Australia, starting in 2007, they ran a series of trials (Figure 13). First, in 2007 in Wivenhoe, which is on the far right, they did a trial, generating a 30% increase in precipitation in the region targetted by their area, compared to some of the surrounding areas. It was kind of a control. And it was also 12% higher precipitation than the historical average. And as far as I’ve seen, they are actually utilizing systems that are operating on a little bit smaller scale than the activity in Mexico. But, based on this success, in Australia over these four years, they’ve gotten support for a new trial program in Oman, on the Arabian Peninsula, running from 2013 to 2018. So, they’re two years into a new trial, a five-year trial program. So, this is an ongoing program. 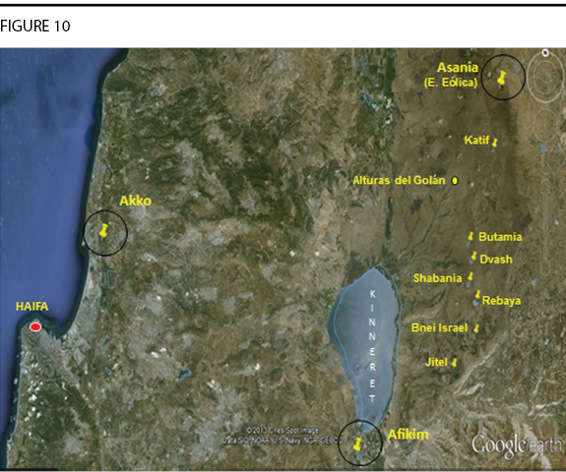 Here’s an illustration (Figure 15) of the last year’s set-up of four stations near the coast there, which they utilized to increase the rainfall by nearly 20%. 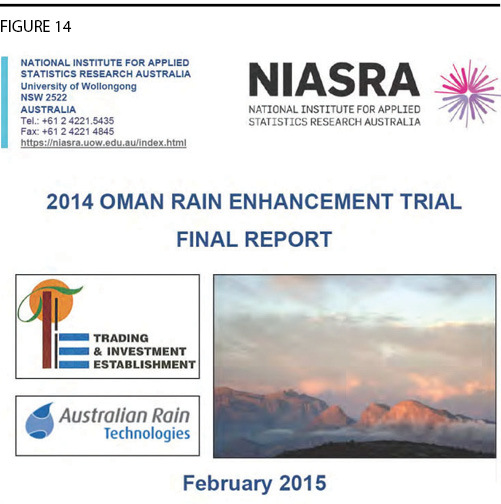 The Oman trials are ongoing. They’re still working on it in Israel. 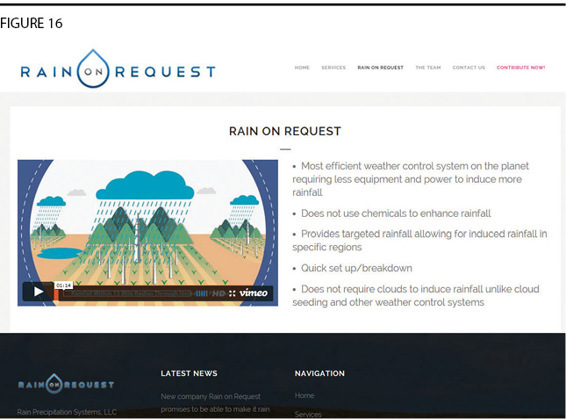 This is another company called Rain on Request (Figure 16)—good name—which is offering their technology to people in the United States.13 They’re campaigning, they’re lobbying, to get state governments, counties, businesses, to get support to develop the technology in the United States. There are other companies that are currently pursuing the potential to develop this technology in Asia. Other companies are pursuing active interest in South America, in developing new implementations of these systems, related technologies. So, this is not something that was done once somewhere, that had some vague results. This has been done in a number of nations, a number of different locations. It’s still being developed, still being pursued, and there’s active interest and support in expanding this in different places around the world. This is a very exciting, interesting perspective. It’s stuff we’ve been looking at now for a couple years, kind of following this with interest—that you’re getting these consistent positive results from these ionization systems, to manage the water cycle, increase the rainfall, utilize these things to tackle droughts, tackle wildfires, various aspects of weather and related conditions, by managing these atmospheric qualities of the water cycle. I think the most important thing, going back to last week’s show—you’ve been taken through a certain picture of some of the results that have been demonstrated, that show these systems have been able to consistently show positive results. I think the most important thing is to bring this back to this galactic perspective, on the program we’re talking about here. You return to what we were talking about last week. We’re living in the conditions of our galactic system, that is shaping these qualities of atmosphere. This is shaping and defining the conditions which affect and control how water behaves in the atmospheric system. So, we’re literally living in the field of influence of our galaxy. We’re living in the galactic atmosphere right now, that’s shaping the conditions we’re experiencing and dealing with. But based on that insight, understanding that, and generating similar conditions, similar effects, affecting these conditions, affecting these ionization conditions our own way, under our own control, is showing us that we can have our own ability to manage these processes, manage these interactions, to control the water cycle, to control the weather, to generate precipitation, to manage conditions of the climate. I think this defines an incredibly important perspective, because, putting together a crash program to pursue these weather-control systems, to really develop this technology to the fullest extent possible—I think what we’re looking at here, is that you go to the case of California. We should be supporting a whole array of these systems. Any company that’s shown decent results—and, as I went through, there are a few of them out there now—they should all be given support to develop their systems. And we should have rigorous trials to see whose systems work the best. Under what conditions do they work the best? Let them set up a number of systems, and run them under different conditions, under different power strength, voltage levels. To better experiment and understand: How can we to the fullest degree utilize these systems? That has, at the same time, two critical benefits. One, obviously, the practical thing: We can provide water. We can save California. We can provide water for places that desperately need it. But two, this is a whole other experimental approach for understanding the nature of our galactic environment. Instead of just sitting back and speculating on a blackboard about how galactic cosmic rays might affect the atmosphere, from the standpoint of equations that you already believe in—why not actually take an experimental approach, and start to manage these conditions? That’s going to give us all kinds of new insights into how to best understand the role of this influence in climate, in weather, how it affects our Earth system. We’re defining here a very clear science-driver program, where, in pursuing these things with a real crash program, hand in hand as we’re expanding our ability to manage these systems for the benefit of mankind, at the same time, we’re potentially expanding our understanding of the galactic system; the nature of the interaction between the galactic system with the Earth. I think the most important thing that we’re looking at here, is the galactic perspective: that we’re looking at mankind redefining his understanding of the system we live in, as defined by the galactic processes, and in that way, being able to have completely new potentials for managing the systems on Earth. There’s a lot more that could be said, but, in direct continuation from last week, I think we’re defining a very clear direction, of where we actually need to go. 2. “Artificial Atmospheric Ionization: A Potential Window for Weather Modification,” by Phillip Kauffman and Arquimedes Ruiz-Columbié, 16th Conference on Planned and Inadvertent Weather Modification. 3. “Looking for a Change in the Weather?” Jay Rizoli, Mass High Tech: The Journal of New England Technology, March 10th, 2003. 4. 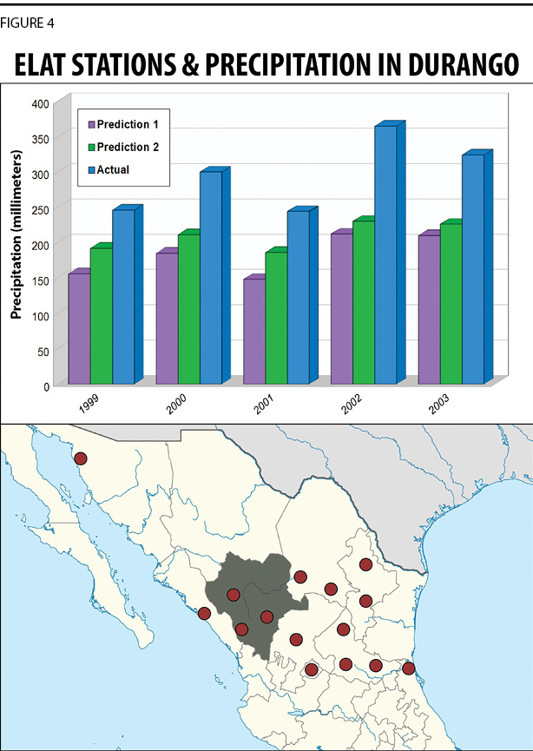 “Electrical Rainmaking Technology Gets Mexico’s Blessing: But for Now, Doubters Prevail North of the Border,” Samuel K Moore, IEEE Spectrum, April 2004. 6. Information from Mexico’s Agrifood and Fisheries Information Service and National Water commission. Sense & Science, Again by Lyndon H. LaRouche, Jr.